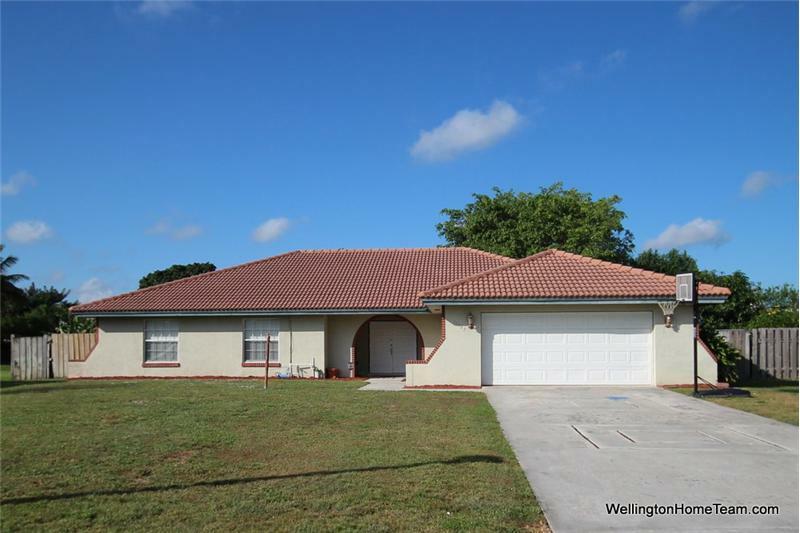 This property at 11752 Laurel Valley Circle , Wellington, FL33414 has listed by Michelle Gibson, REALTOR but has not been updated for quite some time. Please contact the listing agent and broker for up to date information. South Shore is one of the most popular non-gated communities that Wellington Florida has to offer. Wellington's Amphitheater, City Hall, Scott's Place Playground and Aquatics Complex are less than a 1/2 mile away. Top rated Wellington schools are also close by along with the Mall at Wellington Green, Palm Beach International Airport, the Florida Turnpike and the beautiful beaches that Florida has to offer. This beautiful single family home is not a short sale or bank owned property. Beautiful South Shore Home for Sale in the heart of Wellington Florida! Situated on almost 1/3 acre this fully fenced one story home features 3 Bedrooms, 2 Bathrooms, 2 Car Garage and over 2,000 square feet of living. Upon entering the double doors you will be greeted by a spacious foyer that flows seamlessly into the formal living room and dining room. Perfect for entertaining the formal areas are open to one another and feature hardwood floors, vaulted ceilings and sliding glass doors that lead out to a covered and screened patio. The upgraded kitchen offers wooden cabinetry, granite countertops, a tile backsplash, double ovens, double mircrowaves, planning desk, breakfast bar and a large walk-in pantry. The kitchen overlooks the family room and dining area, which also have sliding glass doors that lead out to the oversized yard. The master bedroom features wood floors, a large walk-in closet, a secondary closet, a private bathroom and sliding glass doors. Both secondary bedrooms are a nice size and have newer carpeting.Additional interior features include an updated second bathroom, laundry room, AC and ducts replaced in 2013, dishwasher and washing machine replaced in 2014 and the refrigerator and hot water heater were replaced in 2015.